At a hyped news conference last week, Stephen Harper stood before the nation to make an important announcement that would impact Canada’s future for years to come. No, he wasn’t speaking about the ratification of a 31-year trade deal with China that has critics from across the political spectrum up in arms. After 169 years, one of two ships from Franklin’s fabled expedition has been found. And we’re all the better for it. Contrast the zeal and fanfare with which Harper broke the news of the finding of Franklin’s ship with the enthusiasm for public awareness he afforded the ratification of FIPA (Foreign Investment Promotion & Protection Agreement). A two-paragraph media release sent out late September 12th, on a Friday afternoon. By Monday, when parliament began a new session, the news cycle had swallowed the story. No debate in parliament, no public consultation, just a 31-year deal that comes into effect October 1st. 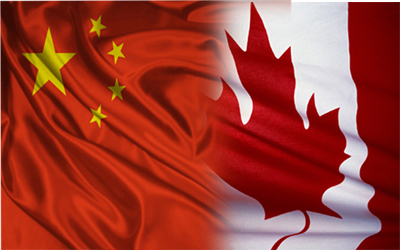 Chinese companies have more power than Canadian companies, with the ability to sue any level of government (municipal, provincial, federal) for perceived lost profits (such as those incurred due to environmental protection legislation, for instance) in arbitration outside the Canadian legal system. Unlike NAFTA, disputes will be arbitrated by three lawyers in secret: one appointed by Canada, one by China, and a third by the World Bank, notably a corporate-friendly institute. There will be no limits on damages awarded. That’s one Canadian, two others from outside Canada. Contrary to all international treaties involving dispute mechanisms, FIPA does not require transparency in its dispute-settlement mechanism. The public will become aware of a dispute only after a settlement has been reached. Taxpayers, in other words, will not know that their taxes are being used to cover a “loss of profit” for foreign corporations until after their taxes have been spent in this manner. FIPA allows China to bypass/contest municipal, provincial, federal, or First Nations decisions on resource and commercial management. Example: the Northern Gateway Pipeline is approved, but BC restricts or rejects the deal. Sinopec (an arm of the Chinese government, as all Chinese corporations are) can sue BC or the federal government. Arbitration would be resolved secretly by three lawyers, two from outside Canada. NAFTA has a six-month exit clause. Canada, unlike any other country, has been locked in for 31 years. “This is an agreement unbecoming of a nation state,” continues Francis. What’s more, Chinese corporations, which are either controlled by the government or as proxies for Chinese politicians, do substantially more business in Canada than Canadian corporations in China. Francis was more prophetic than she knew when writing in 2012. Canada was indeed laughed out of Berlin. Germany put the brakes on CETA, the much-touted trade agreement between Canada and the European Union. There are growing concerns in Europe about the investor-state dispute settlement (ISDS) mechanisms, the very same mechanisms that Harper has so eagerly agreed to with China. The main concern with these ISDS mechanisms is that when corporations feel that their profits have been affected by such factors as environmental legislation or labour policy, corporations will be allowed to interfere with government attempts to regulate in the public interest. Apparently, where public interest is concerned, some national leaders believe that corporate/investor protection should be a secondary concern. What a novel idea. First, Harper has no respect for First Nations or the Canadian court system. As I write, there is a legal challenge brought before the Federal Court of Appeal by the Hupacasath First Nations considering the constitutionality of the agreement. Although the Canadian court system is considering the deals constitutionality, our government has gone ahead anyway, disregarding legitimate First Nation concerns and the Federal Court of Appeal. Indeed, Russia, our main adversary in the Arctic, is surely cursing our luck. Finding Franklin’s lost ship has certainly put Putin between a rock and an iceberg. For a man with such high regard for Ukraine’s territorial sovereignty, Canada’s rights over the oil and gas reserves of the Northwest Passage are now beyond dispute. If you’re interested in the article, please Like, Share, Comment, and Follow. Spread the word & pay it forward!